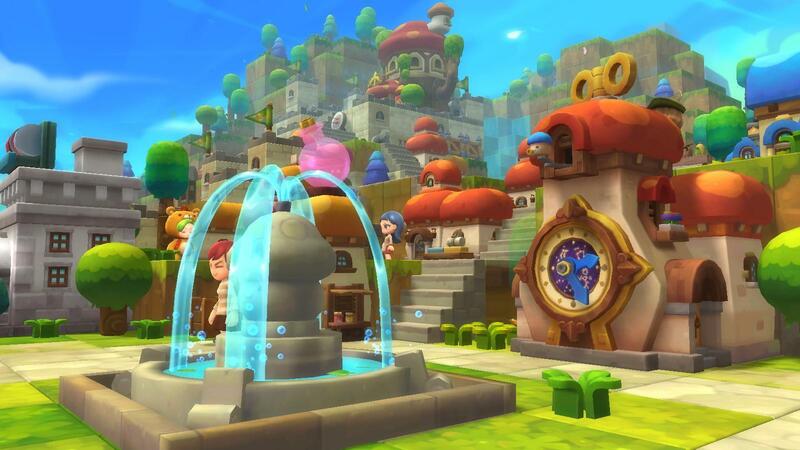 MapleStory 2 Closed Beta Test is in full swing on may 9, Like many MapleStory 2 fans, I have uncontrollable excitement. Now, this game is completely different from the original MapleStory. MS 2 takes the world and characters people loved from the original game, throws them into a time machine and then shoves more common, modern MMORPG gameplay into the game. 1. The new game isn't a pixel side-scroller like the original MapleStory was. Instead it takes on a blocky look, similar to Minecraft, but with its own cutesy spin. However, the aesthetics are the least important differences between the two games. 2. There's no need to stay on one map and grind monsters for hours on end like in the original game. And while quests felt like a waste of time in MapleStory, its sequel's story quests are pretty much mandatory for leveling up. Your character levels naturally and easily just from doing the story quest, like in Final Fantasy XIV or any other modern MMO. This is one of the biggest ways that MapleStory is catching up with the current generation. 3. The sequel also encourages some more resource management than its predecessor. Rather than spamming your strongest skill and relying on a pet to automatically refill your health and mana, you actually have to watch your "spirit" levels and strategically use your skills to refill them. This makes the game harder than the original MapleStory, but the skill rotations you need to do to keep your spirit up aren't complicated, like some other MMOs. The original game's combat tends to get a little mind-numbing when taking down enemies, but dodging area-of-effect skills on a 3D map and maintaining spirit forces you to pay more attention in MapleStory 2. All these changes make MapleStory 2 feel like an improved sequel instead of just the 3D rendition of an old game that it could have been. If you're looking to slay some pigs and run some raids, this is probably the game for you. But if you want to just grind all day and night, you should stick to the original MapleStory.